Home » Science/Tech » Apophis Asteriod could hit the Earth by 2036! Apophis Asteriod with its huge mass and size is the latest asteriod in the list to threaten Earth. The report broke out after Russian warning report on the very likely impact of the Apophis Asteriod towards the Earth. 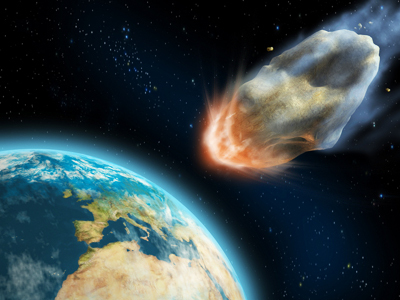 “It’s likely collision with Earth may occur on April 13, 2036,” Professor Leonid Sokolov of St. Petersburg State University concluded, according to UPI, which also reports an unrelated 4-foot-wide asteroid passed by Earth this week. Sokolov says while the chances for impact are slim, it’s important to plan for all possible scenarios, per Russian state news agency RIA Novosti. He added the asteroid is most likely to disintegrate into smaller parts that could collide with Earth in following years. The Apophis Asteroid made headlines in 2009 when scientists predicted a greater than 2 percent chance of impact. NASA scientists are cautious about the prospect. “Technically, they’re correct, there is a chance in 2036 [that Apophis will hit Earth],” said Donald Yeomans, head of NASA’s Near-Earth Object Program Office. But that chance is just 1-in-250,000, Yeomans added. I dont think there is any reason to panic. Such reports come out very often. And besides our Earth has survived so much warnings and dangers. I am sure it will do it once again.